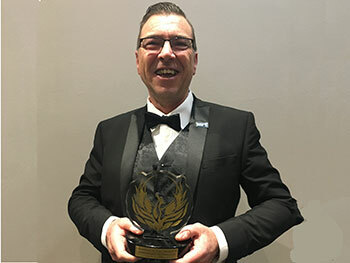 Birmingham City University came away with two accolades at the annual Phoenix Newspaper Awards ceremony which took place on Friday 30 November. Now in their eighth year, the awards celebrate success and diversity from across the West Midlands, with this year’s focus on the Commonwealth, the Windrush Generation and NHS. Birmingham City University Deputy Vice-Chancellor, Professor Julian Beer was in attendance to present the Diversity award and to accept the Educational Excellence award, recognising the University’s work in going above and beyond to promote excellence in the region; most notably the impact of health and education, as well as its STEAMhouse initiative and new £57 million Royal Birmingham Conservatoire. Professor Beer was also on hand to accept the International Excellence award on behalf of Chancellor Sir Lenny Henry, whose contribution to championing diversity in film and television and work to support the Windrush Generation was celebrated. “I was honoured to represent Birmingham City University at The Phoenix Newspaper Awards and take home two terrific trophies. Birmingham’s great strength is its diversity and these award wins show that we truly are a university for Birmingham and it is wonderful to celebrate this. It’s also fantastic to pick up an award for Sir Lenny whom we’re incredibly proud to have as our Chancellor. He truly represents our commitment to the arts and to diversity, and is a strong advocate for Birmingham and the wider community. The awards ceremony took place at The International Convention Centre in Birmingham.